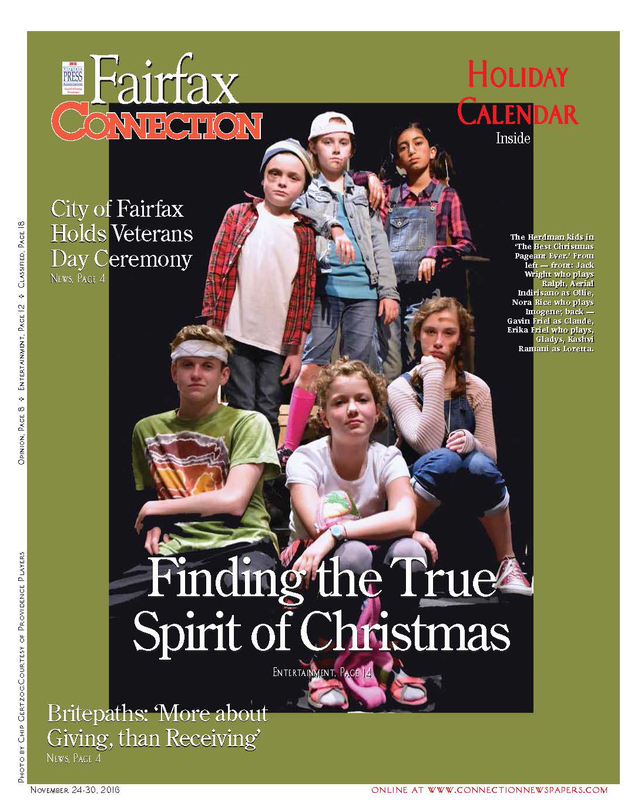 The Media is catching the buzz about this special production and tickets are beginning to go quickly! 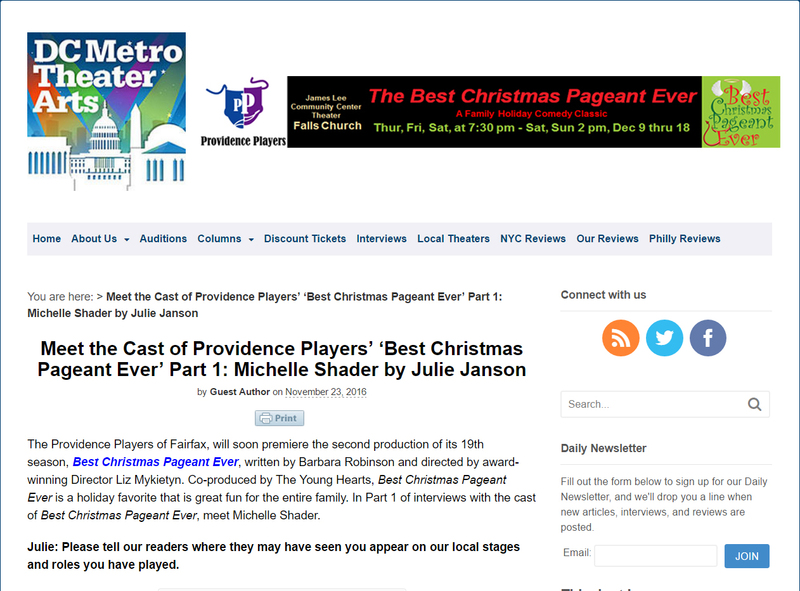 The Providence Players present The Best Christmas Pageant Ever based on the first book in Barbara Robinson’s acclaimed Herdmans series. 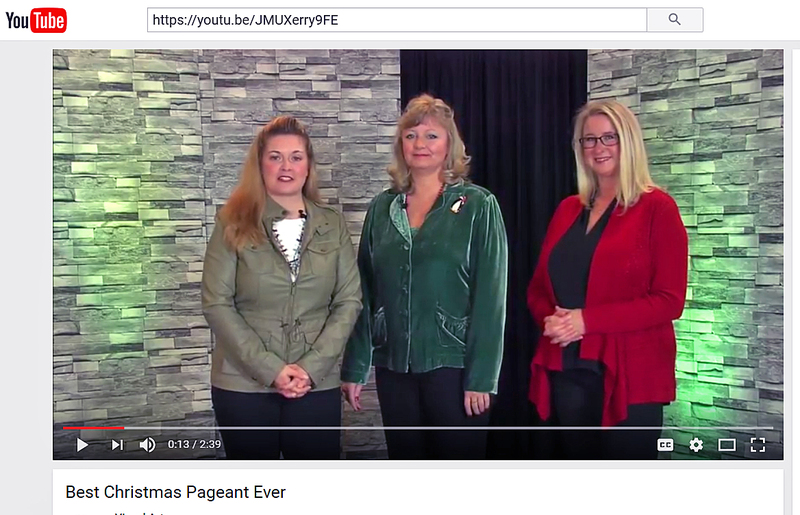 The Best Christmas Pageant Ever, introduces us to the six “worst kids in the world.” This stage production perfectly captures the merry mayhem that results when the Herdmans, the town’s rowdy, sticky-fingered, pyromaniacal bullies, decide to audition for the annual holiday pageant. The entire town has gathered in anticipation, waiting to see the Herdmans ruin Christmas – or will they? This funny, heartwarming, holiday tale has become a classic: and good for the entire family! This special holiday treat will benefit the work of The Young Hearts, a group of amazing teens who raise funds to battle blood cancers and other diseases. Half the net proceeds from this production will benefit this outstanding organization. Great theater for a great cause! At the James Lee Community Center Theater 2855 Annandale Road, Falls Church. December 9th Through December 18th 7:30 p.m. Thursday/Friday/Saturday, 2 p.m. Saturday and Sunday. $17 General Admission Seating. Tickets best purchased online at the link above (no service fee) but may also be reserved by email at providenceplayerstickets@cox.net or by phone at 703-425-6782 (leave voicemail) and at the door.